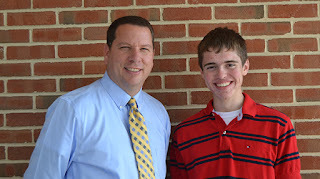 National Merit Scholar Semifinalist Benjamin Pontz. Benjamin Pontz—LSNews.org Editor-in-Chief—has been named as a 2016 National Merit Scholar Semifinalist. Semifinalists represent less than one percent of high school seniors nationwide and include the highest scoring entrants in each state. Ben will now complete additional requirements to be considered for finalist status. Of the 15,000 finalists, 9,200 will go on to receive scholarships through the program. Scholarship winners are notified in March. In early September, about 16,000 students, or approximately one-third of the 50,000 high scorers, are notified that they have qualified as Semifinalists. To ensure that academically talented young people from all parts of the United States are included in this talent pool, Semifinalists are designated on a state-representational basis. They are the highest scoring entrants in each state. NMSC provides scholarship application materials to Semifinalists through their high schools. To be considered for a National Merit Scholarship, Semifinalists must advance to Finalist standing in the competition by meeting high academic standards and all other requirements explained in the information provided to each Semifinalist. Read the District's Press Release.